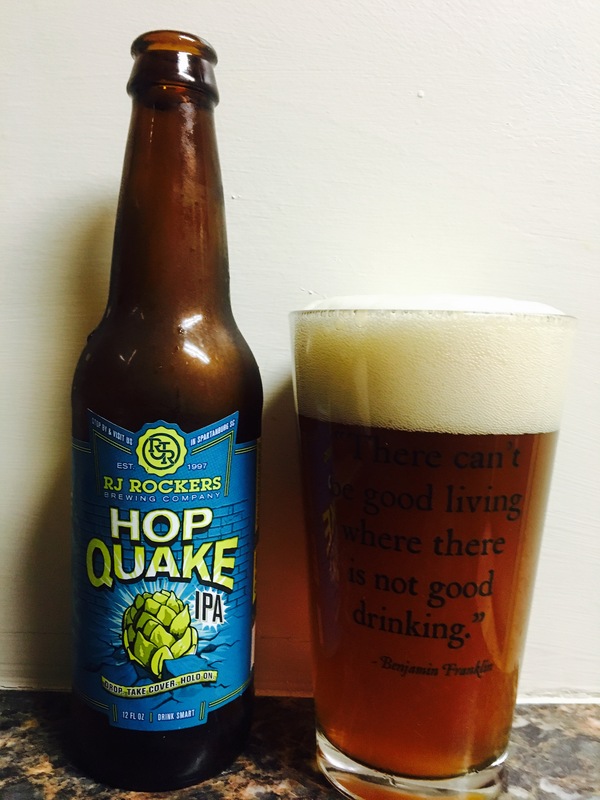 RJ Rockers Hop Quake is more like an IPA tremor instead of a quake. It’s a good beer don’t get me wrong and it is quite “hoppy” but not the hoppiest I have ever had. It has a very bitter aftertaste but it goes down well. I am an RJ Rocker fan usually but I’ll probably pass on this one next time. With its 6.2% Alc content, it’s a typical IPA so if your an IPA fan, give it a try. 2.5 stars.